Line 1: Holds up to four 4" numbers need help? Give your entryway an affordable makeover. 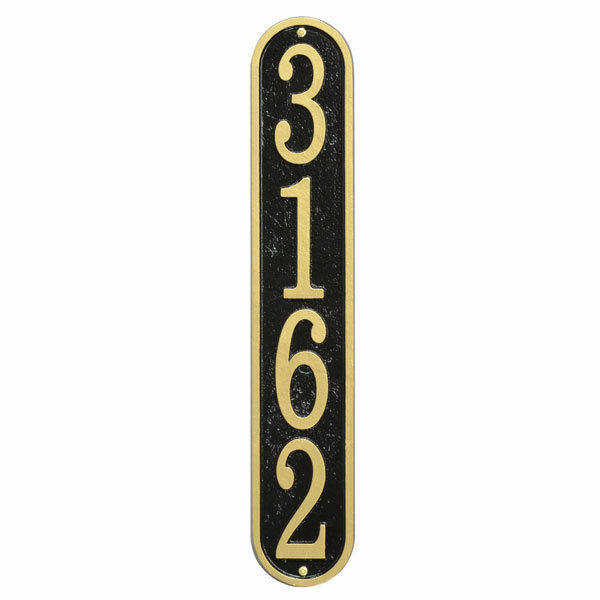 The Vertical Fast & Easy House Numbers Plaque combines popular architectural styling with large 4" numbers for maximum visibility. Choose from 4 different super durable all weather powder coat colors. Easy to order and ultra fast turnaround for this distinctive cast aluminum personalized house numbers plaque.